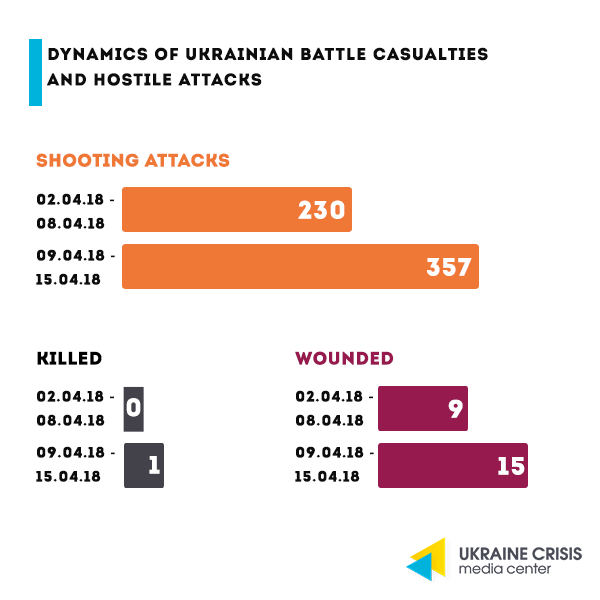 Russia-backed militants continue intense attacks in eastern Ukraine: over the last week, the number of daily ceasefire violations ranged from 35 to 66. In addition to the 82-mm and 120-mm mortars that militants use regularly, they very actively employing 122-mm artillery and tanks – both of which are proscribed under the Minsk agreements. On April 11, Russian proxies shelled the residential areas of Avdiivka. Fortunately, the attack resulted in no casualties. Pros and cons of Nord Stream 2: the state of play. 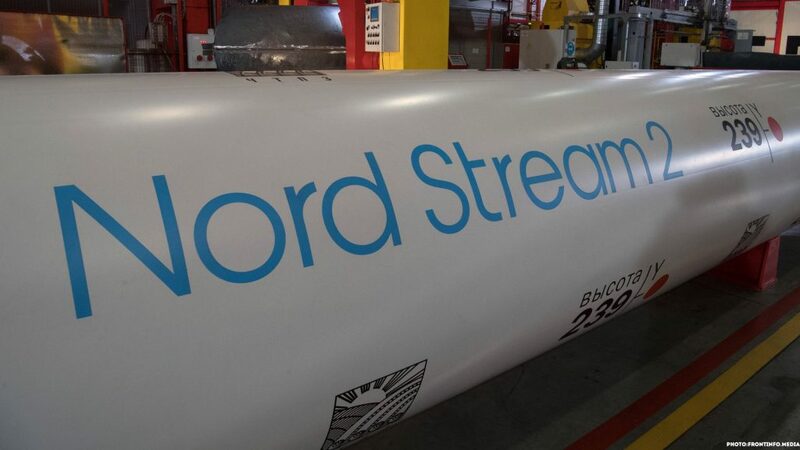 In the end of March, Germany issued out a permit for the Nord Stream 2 construction. On April 12, Finland also gave green light to Gazprom to construct the controversial gas pipeline circumventing Ukraine. At the same time, the US, Poland, Moldova, Estonia, Lithuania, Latvia, and Denmark are standing against Nord Stream 2. 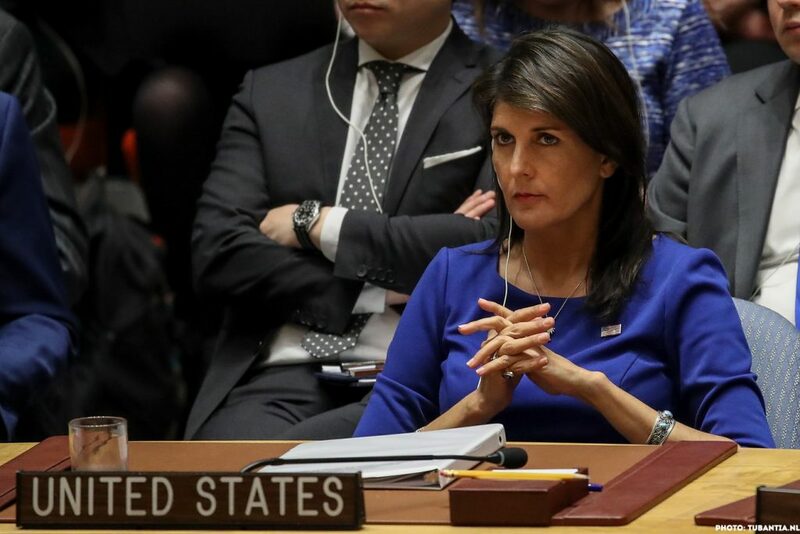 Recently a representative of the US Department of State said that foreign companies taking part in the gas pipeline construction can get sanctioned. It comes as one of the options to block the project. New statements from the EU: Germany and Denmark. At the same time, the statements by the German Chancellor Angela Merkel after her negotiations with the Ukrainian President Petro Poroshenko are worth particular attention. Firstly, Merkel for the first time publicly recognized that Nord Stream 2 has a political component. Secondly, she emphasized that the gas transit is of strategic importance to Ukraine and that the issue needs to be resolved at the stage when construction is considered. 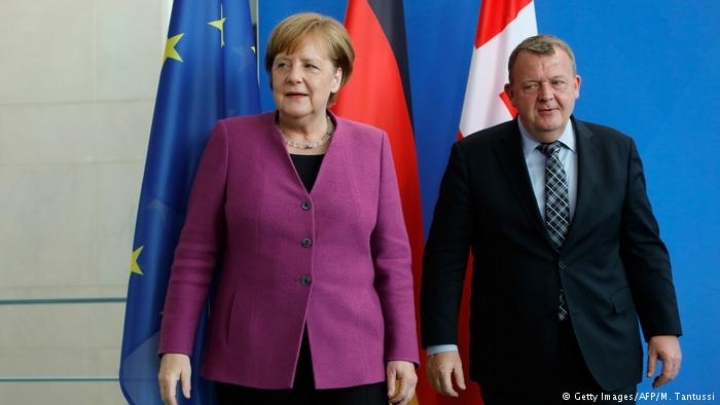 Following Angela Merkel, the Prime Minister of Denmark Lars Løkke Rasmussen also said that Denmark would like to see the construction of the Nord Stream 2 gas pipeline linked to Ukraine’s role as a transit country preserved. What may Ukraine lose? In 2017, Ukraine earned about $3 billion from the transit of Russian gas to the EU. Last year, Ukraine transported 93,5 billion cubic meters of gas to European consumers, which is a record figure in the past seven years. Ukraine’s Naftogaz and Russia’s Gazprom signed the contract for gas transit back in 2009. It expires on December 31, 2019. After the Stockholm arbitration court upheld the ruling not satisfying Gazprom’s claims, the company initiated breaking of all gas contracts with Ukraine. It is a long-lasting procedure, most likely the contracts will stay in force until their expiration date. If the parties fail to prolong the transit contract on the terms beneficial for Ukraine and if Russia succeeds with building Nord Stream 2, Ukraine will be losing up to $3,5 billion annually. Why is it important for Ukraine to prevent the Nord Stream 2 construction? According to Ukrainian experts, it is important for Ukraine – from the political, economic, and security standpoints – to be the country transiting the Russian gas to the EU. It is not only about the money, but first of all, it comes as a powerful (and probably the only) lever Ukraine has got on the Kremlin. The transit of the Russian gas is a serious safety tool to prevent Russia’s large-scale military aggression against Ukraine. Gazprom’s latest statements. Three years ago, the Head of Gazprom Alexey Miller was determined to stop the gas transit through Ukraine’s territory after the contract expires. Later, Miller’s statements softened. On April 11, he said Gazprom does count on Ukraine’s transit capacities, however, the volumes in question were quite modest – 10-15 billion cubic meters of gas annually. To Ukraine transporting such volumes of gas is of no benefit. Moreover, Kyiv would have to invest their own money into gas transit under such a scenario. According to Ukrainian Minister of Energy Ihor Nasalyk, gas transit becomes economically beneficial starting from 40 billion cubic meters of gas annually. What does it mean for European partners? When it comes to Nord Stream 2, Germany, same as any other EU member state, is likely to leave the commercial factor behind and make their choice from the political standpoint. The political choice behind the Nord Stream 2 project is either to support Ukraine in its fight against Russia or to support Russia in its aggression against Ukraine. What are the alternatives to Nord Stream 2? The only actual guarantee that Russia will transit its gas through Ukraine is that Nord Stream 2 is not constructed. Together with its European partners, Ukraine has to prepare a realistic proposal as to the gas transit after 2019 keeping in mind that the gas transit is a matter of national security and political independence of Ukraine. New sanctions against the “Kremlin report” list.The US imposed the sanctions against the Russian businessmen and officials listed in the “Kremlin report”. The sanctions resulted from Russia’s interference in the US presidential elections. Who’s on the list? Among the sanctioned individuals are billionaire Oleg Deripaska, and Head of the Board of “Renova” group of companies Viktor Vekselberg who had been ranked Russia’s richest person by Forbes. Sanctioned companies include En+, Renova, Rusal, Rossiyskie Mashyny (Russian machinery), Rosoboronexport – Russia’s state-owned defense exporter; bfinance linked to Deripaska, as well as eight more Russian companies. Any business-related ties with them are now prohibited to US companies and citizens. New sanctions make an effect. Resulting from the impact of the recent US sanctions, Russia’s richest businessmen from the Forbes list lost between $12-16 billion, while stock quotes of Russia’s biggest companies, as well as, the ruble exchange rate went down. Twenty-six out of the 27 Russian billionaires incurred losses. Owner of the Norilskyi Nickel company Vladimir Potanin lost the most – $2,25 billion. Lukoil president Vagit Alekperov lost $1,37 billion, Viktor Vekselberg – $1,28 billion, Oleg Deripaska – $905 million (his overall losses since April 13 constitute $2 billion). A draft of the new US sanctions linked to the Skripal case. On April 13, US congressmen introduced a new draft bill that foresees sanctions against Russia in response to the Salisbury attack. The bill empowers the US President to sanction the persons involved in the attack against Colonel Sergei Skripal, a former staff member of the Russian intelligence and his daughter Yulia. Sanctions of the UK. The UK also plans to introduce sanctions against the tycoons standing close to Putin after the Salisbury poisoning and the chemical attack in Syria. Ukraine’s sanctions. Ukraine’s new sanctions against the Russian Federation will target the Russian oligarchs whose businesses operate in the occupied Crimea and who supply weapons to the Russian army. According to the President of Ukraine Petro Poroshenko, the introduction of these sanctions is on the agenda of the National Security and Defense Council meeting that is due to take place in the upcoming days. “Sanctions will be harmonized to the maximum with those imposed by the US Department of State. Included in the list will surely be Mr. Deripaska as well as other oligarchs who are currently key actors in the activities Russia conducts in Crimea as well as in weapons supply to the Russian Armed Forces,” President Poroshenko said. Russia strikes back. It won’t take Moscow long to adopt the draft law responding to the US sanctions, said Deputy Foreign Affairs Minister of the Russian Federation Sergei Riabkov as quoted by RIA Novosti. On April 13, leaders of the parliamentary factions and the speaker of the Russian Duma Viacheslav Volodin introduced for consideration to the lower chamber of the Russian Parliament a draft law that foresees the response to what is stated as the US anti-Russian policy. The draft law foresees, in particular, the ban on importing US-produced agricultural products, alcohol, and cigarettes. Russian Foreign Affairs Ministry promised a harsh response to the new US sanctions. “No acts of pressure will divert Russia from the policy line it has chosen,” the agency adds. Russian Prime Minister Dmitry Medvedev tasked the government to draft the actions to respond to the latest US sanctions, saying that actual trade agreements may be threatened.